Long Beach, CA is located along the coast in Los Angeles County. It is the only Southern California city to rank among the top 10 in the United States for the most walkable city. Not only is Long Beach centrally located, but the city has many unique neighborhoods making many people call Long Beach home. One of those neighborhoods is Downtown Long Beach (DTLB). Our pet-friendly, Downtown luxury apartment community, Camden Harbor View is within walking distance to fine dining, the waterfront, shopping, and entertainment. View of Shoreline Village and the Queen Mary from a Camden Harbor View apartment balcony. Camden Harbor View offers spacious, open-concept floor plans including live/work lofts with granite and quartz countertops, stainless steel appliances, washer/dryer, and underground parking for your convenience. The community also features two resort style pools, 24 fitness center, clubhouse, movie theater, game room, conference room, cyber lounge, bark park, and much more! Cyber Lounge: Featuring 5 computers, a printer, and outdoor terrace. Work, and relax outside with your favorite brew or favorite wine from our retail shops Brew Haus and The Wine Bar. Clubhouse: Looking for a venue for your next event? Look no further. Our clubhouse features a full kitchen, two outdoor terraces, billiards table, and a flat-screen TV with cable. Movie Theater: Want to share your wedding DVD or Blu-ray with your friends and family? Looking for a fun movie night? Our movie theater features 12 comfy recliners making your movie experience even more enjoyable. Game Room: Looking for a social spot for you and your friends? Our game room features a lounge area, four flat screens TVs with cable, shuffleboard, billiard table and arcades. While you’re at it, order a pizza from our retail restaurant, Buono’s Authentic Pizzeria while enjoying the games. Your friends will love you even more! Bark Park: Living in an urban environment, grass is sometimes hard to find. 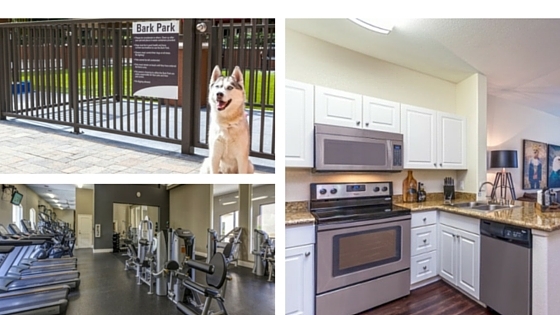 Our bark park is available daily for your four-legged loved one. Water and waste bags are made available for your visit. Fitness Center: Our high-endurance fitness center is open 24/7 to accommodate your busy schedule. It also features treadmills, elliptical machine, assisted bench press, leg press machine, free weights, and yoga mats. 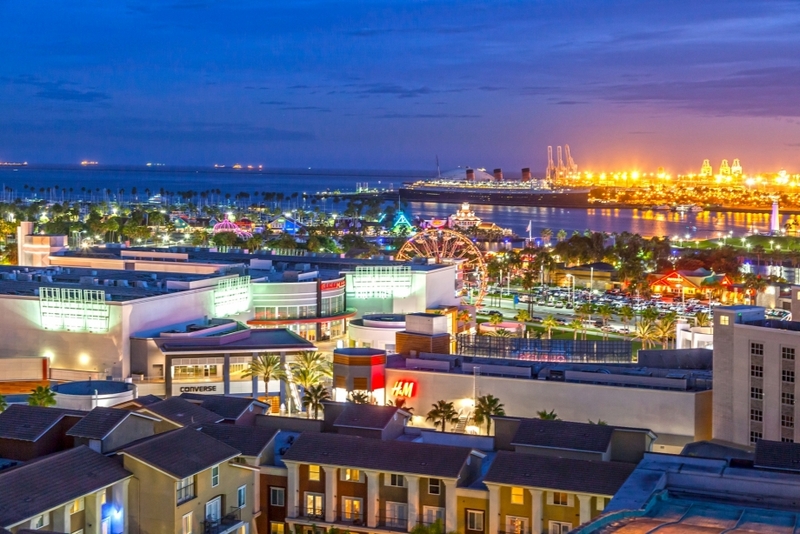 Location, Location, Location: If you’re looking to venture away from your doorstep, Camden Harbor View is just minutes from the historic Queen Mary, The Aquarium of the Pacific, The Pike Outlets, and the Catalina Express. Just minutes from the 710 freeway and the Metro, you are always close to where you need to go. Camden Harbor View also sits on the race route of the Grand Prix of Long Beach, the largest spectator race of its kind in the United States. DTLB also has many annual signature events, which are all near Camden Harbor View. 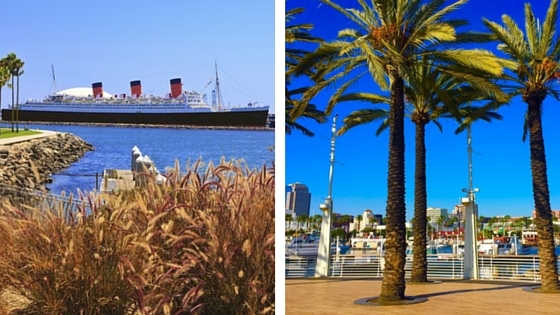 The Long Beach waterfront is less than a 10-minute walk. Shoreline Village is also a fun stop which features major chain restaurants and shopping. We understand this blog made you want to visit Long Beach and even call Camden Harbor View your new home! Our fabulous Camden Contact Center team is available 24/7 at (866) 932-4432 and you can also email us directly at HarborView@CamdenLiving.com. We are happy to assist you with your move and make sure that your Living Excellence experience is a great one.